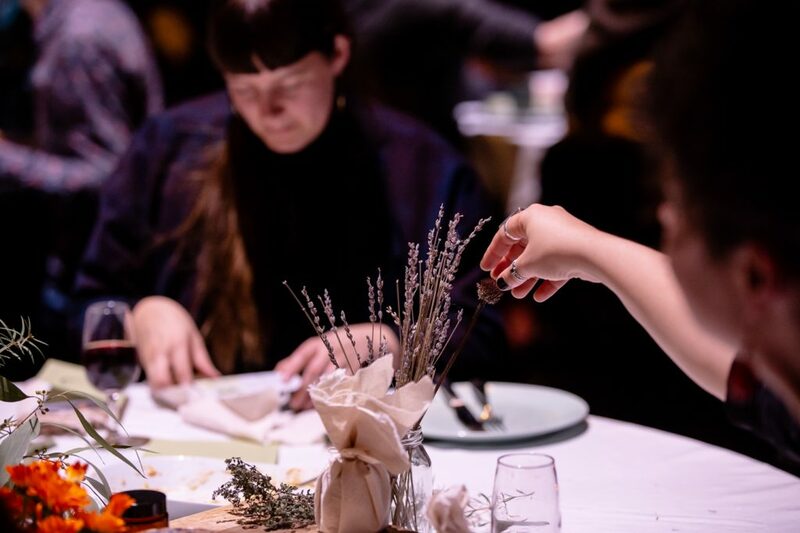 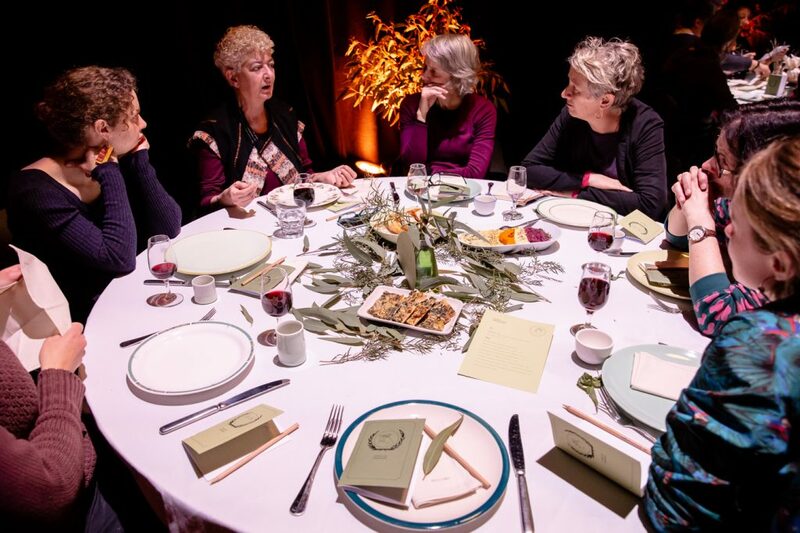 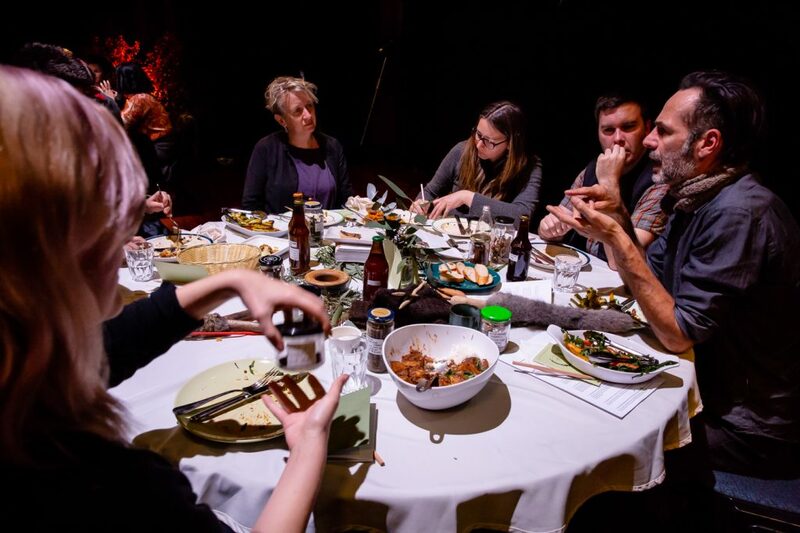 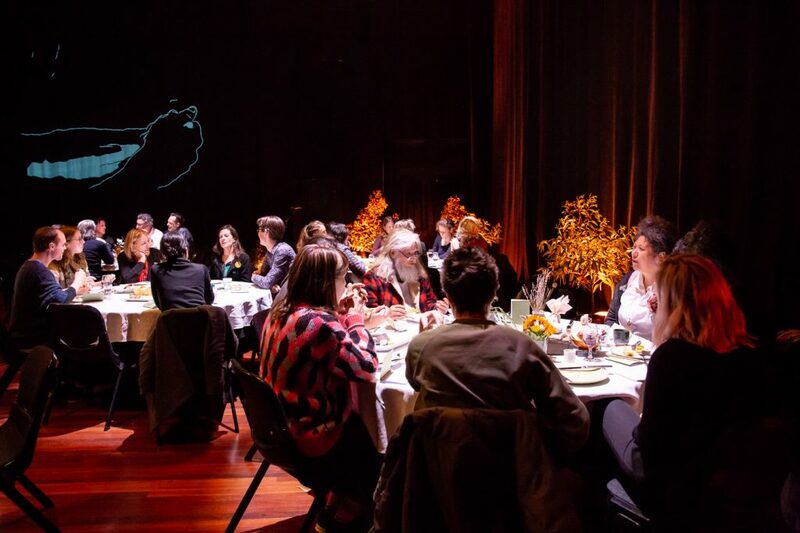 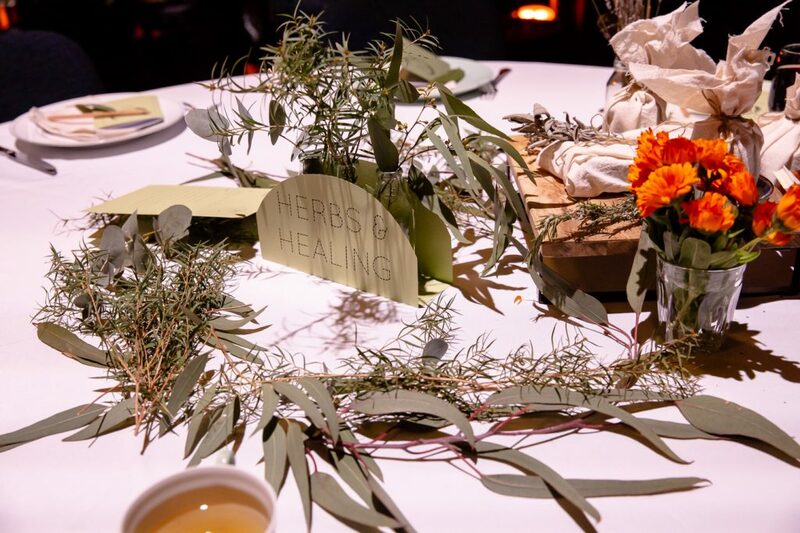 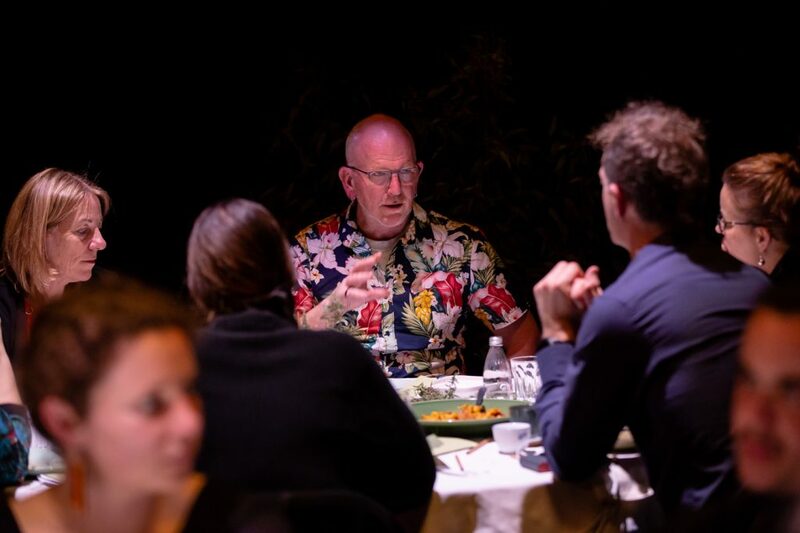 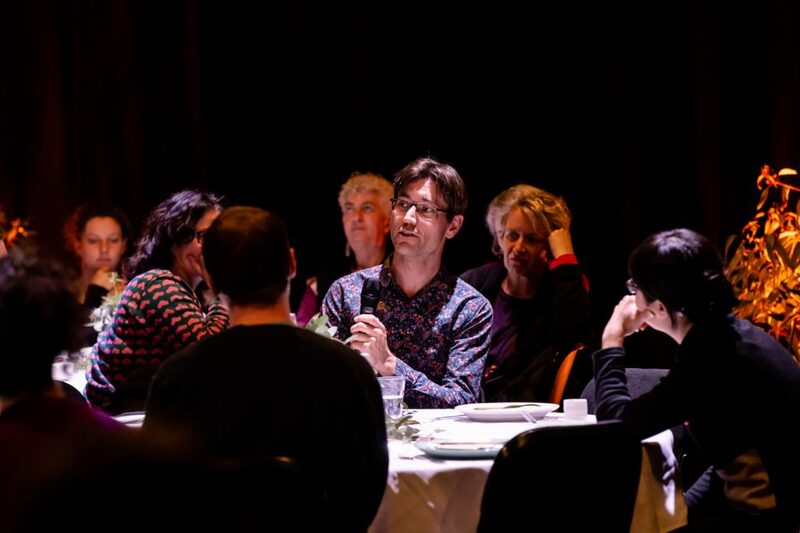 Supper Club: Sanatorium was part of the Refuge 2018: Pandemic program at Arts House in North Melbourne. 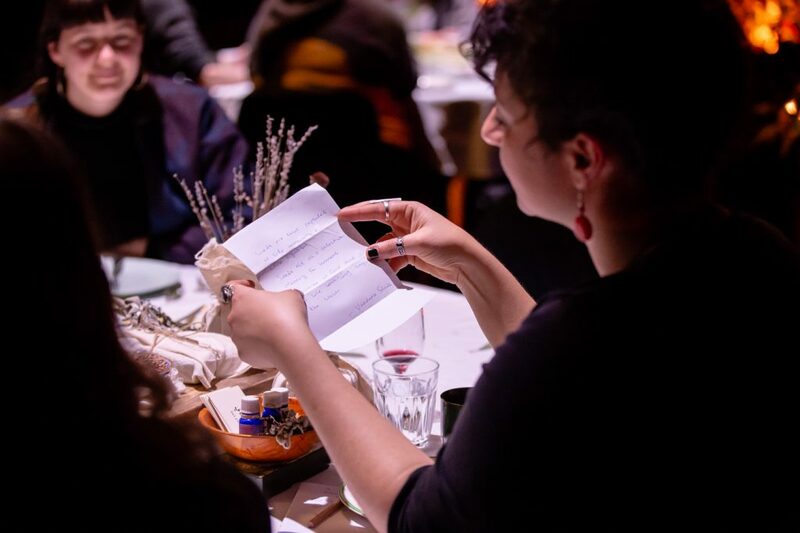 It was held on 30 August, 2108, and was a collaboration with Asha Bee Abraham. 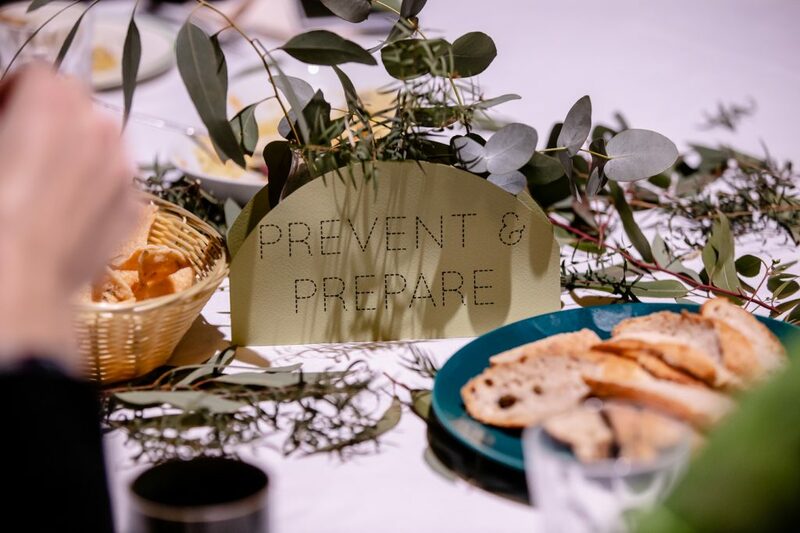 Gather for collective convalescence and seek refuge in the Sanatorium, as we reflect on all that we have survived so far, and ready ourselves for what lies ahead. 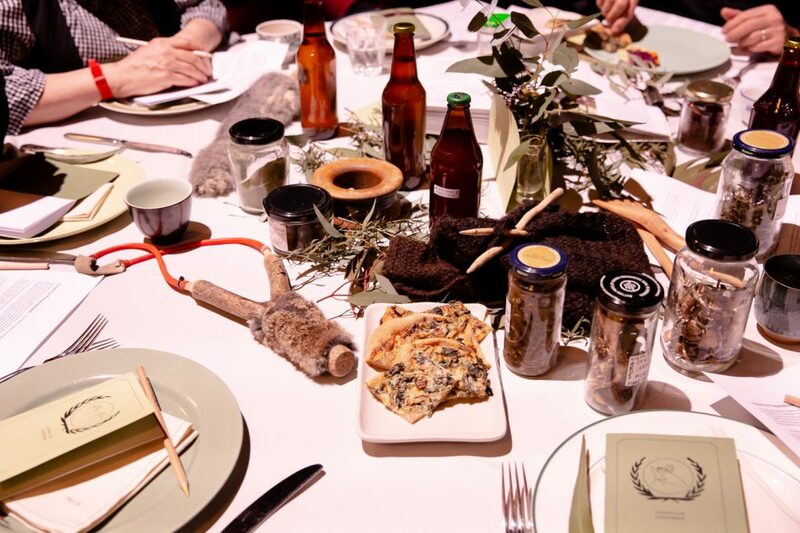 In this future-focused Refuge edition of Supper Club, we will sit with an indigenous futurist, an epidemiologist, an HIV activist, an AI expert, a neo-peasant, and an emergency responder to explore ethical survival, collective preparedness and potential worlds. 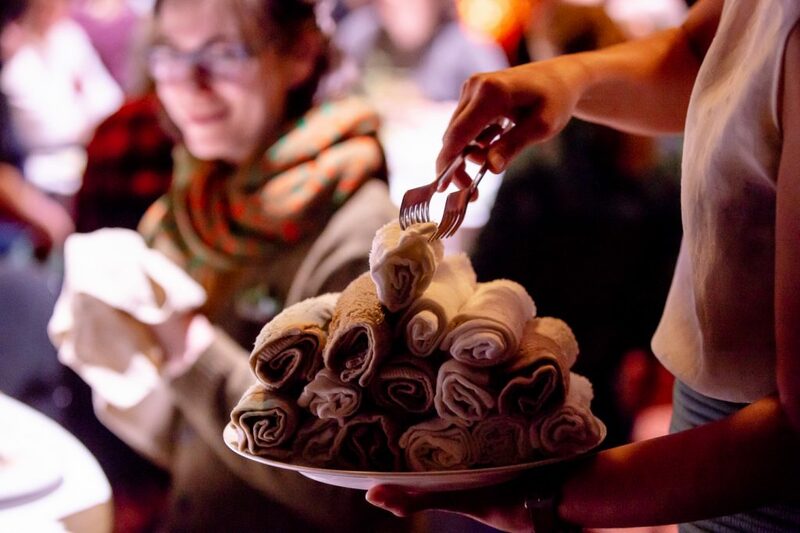 Come together to share a meal on the last night of Refuge. 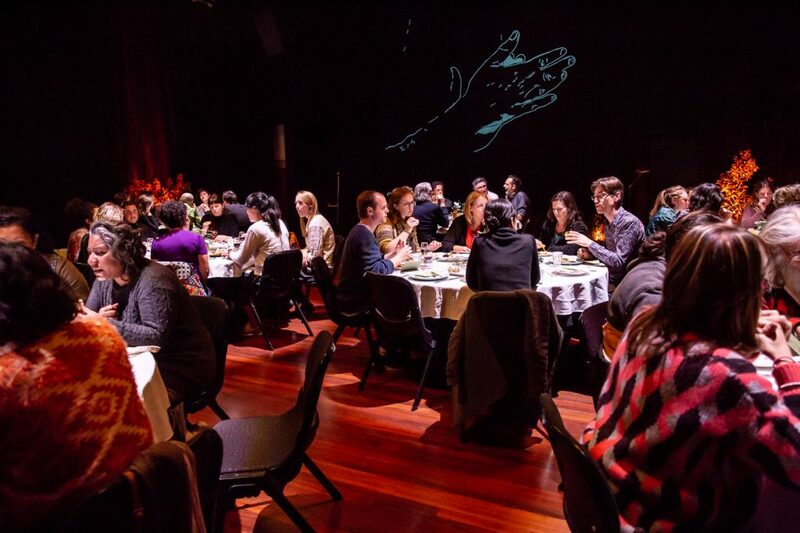 Imagine our indigenous-led futures; learn about how diseases move and spread; discuss how Artificial Intelligence can forecast pandemics; learn about on-ground epidemic response; hear first-hand about living with HIV; and hear how we can increase our community immunity. 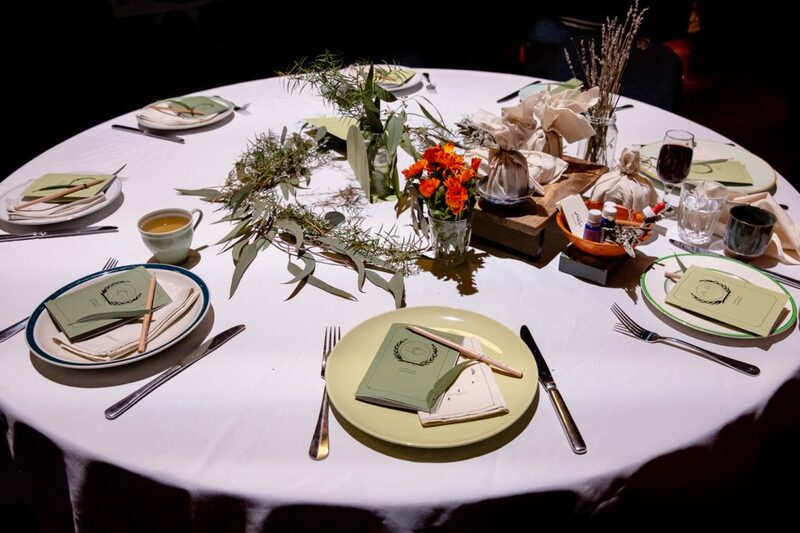 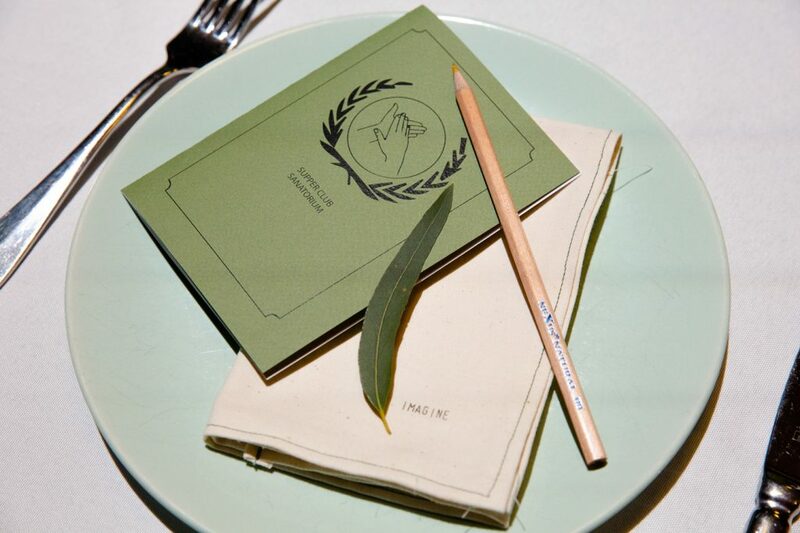 Learn more about the Supper Club: Sanatorium hosts here.